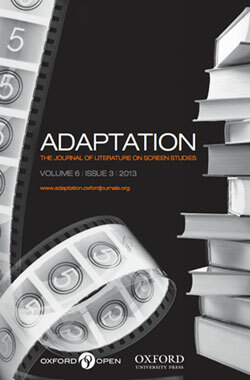 Adaptation is an international, peer-reviewed journal, offering academic articles, film and book reviews, including both book to screen adaptation, screen to book adaptation, popular and ‘classic’ adaptations, theatre and novel screen adaptations, television, animation, soundtracks, production issues and genres in literature on screen. Adaptation provides an international forum to theorise and interrogate the phenomenon of literature on screen from both a literary and film studies perspective. For further information please consult the Oxford Journals site. – Andrew Davies – Screenwriter and novelist. The Adaptation Essay Prize is a new innovation from the Journal, launched in 2011 to encourage the best new scholarship in the field. While the journal publishes many articles that focus on the relationship between literature and film, the Editors are particularly keen to publish work which challenges the primacy of that relationship: this might include essays on computer games, opera, popular music, animation, genre fiction or work with a wider theoretical sweep. The Essay Prize is open to anyone currently registered for either an undergraduate or postgraduate degree on any subject within adaptation studies. The winner of the 2014 Essay Prize is Anna Blackwell. Read her essay Adapting Coriolanus: Tom Hiddleston’s Body and Action Cinema free for a limited time. The winner of the 2013 Essay Prize was Kyle Meikle with Towards an Adaptation Network.